The Northamptonshire Health and Wellbeing Board held a development day focused on Social Prescribing at the end of the last month, which was well attended by around 50 people from organisations across health and social care, local authorities and voluntary sector.The purpose of the day was to start the development of countywide Social Prescribing model or framework. The work around Social Prescribing for the STP NHS 5 year forward plan is currently part of the work being undertaken by the STP 'Prevention and Behaviour change' sub group, which has a cross section of membership from health, local authorities and voluntary sector. This sub group have put in an expression of interest to NHS England for funding to develop the Social Prescribing model from April 2018, which requires matched funding on a sliding scale from the second year, from local partners in the statutory sector, to be fully funded locally from the fourth year onwards. 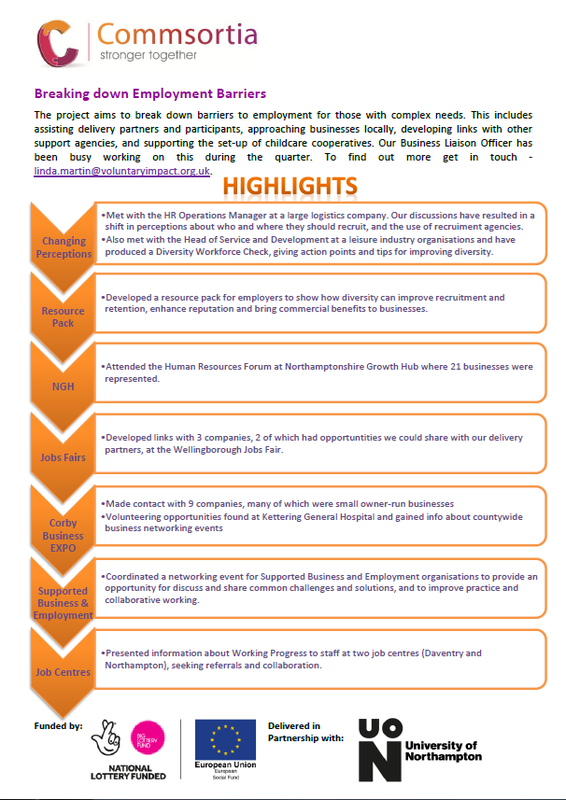 To support the development of a joint model between now and April 2018, First for Wellbeing and Voluntary Impact Northamptonshire have each committed resource to review options and with local engagement, develop an agreed framework or model that engages all partners in all sectors. The initial model, that would be supported by the NHS England funding would need to be focused, given the amount of funding available. The overall commitment that was proposed as part of the local STP NHS forward plan was significantly more and would allow the model to be expanded in depth across the county. Below is a link to three presentations from the Kings Fund Event a few weeks ago. Although it is focused on GP primary care and impact on acute secondary health care, the third presentation is interesting in many of the principles and themes that are common across the areas we work in- Accountable care networks are a current theme. There are common themes we can use and promote particularly around patient engagement and towards the end of the lat presentation an interesting role, which could fit with Social Prescribing in re-defining the current FfW Assessors roles. Check out the latest report from NAVCA: Improving Commissioning through a VCSE Single Point of Contact.